To support the GORE-TEX® Surround footwear campaign, we helped to create a fully immersive, 360° 5D experience in the main atrium, Westfield London. 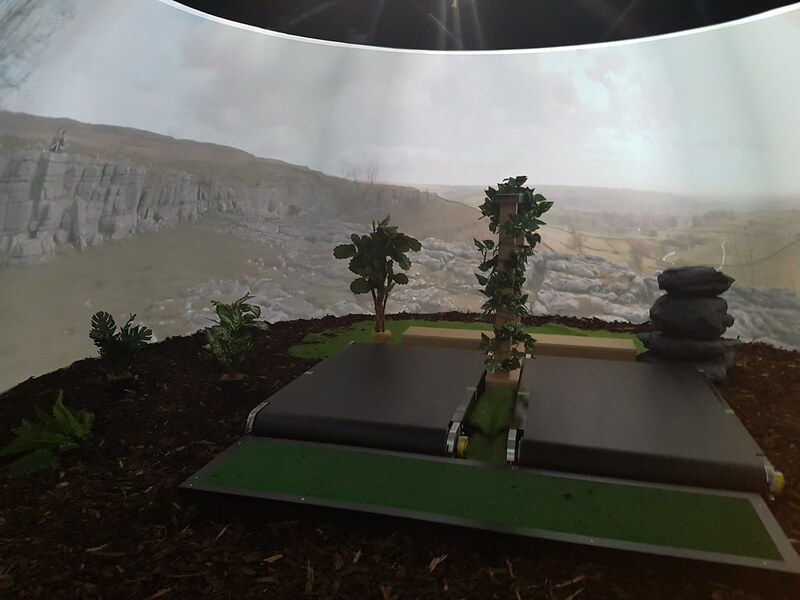 The GORE-TEX® SURROUND® 5D experience kitted out visitors with GORE-TEX® footwear and then exposed them to the elements, including wind & rain, as they experienced 5D simulations of some of the UK’s most stunning natural beauty spots. The first location was Henrhyd Falls, the tallest waterfall in southern Wales, boasting a spectacular 90-foot drop over the edge of a rugged rock formation. Visitors could also experience the historic beauty spot of Malham Cove in North Yorkshire, with a chance to see the amazing panoramic views from the clifftop, standing at around 260-feet high. GORE-TEX® also ran a competition throughout the activation, giving away a pair of men’s, women’s, and children’s shoes every day. Partners included Visualise, who created the 360° content, 1.618 Digital, who developed a vivid 3D soundscape, and lifestyle marketing agency MKTG.